slml2img, the top-level function to generate simulated instances from a trained generative model. slml2info, the top-level function to generate a report from information extracted from a single generative model. slml2report, the top-level function to generate a report from comparing generative models. slml2slml, the top-level function to combine models into a single model file. Docker performs operating-system-level virtualization. Docker lets us create and deploy a preconfigured image with the CellOrganizer binaries. This image can be used to spin containers that are ready to use and start testing. Before downloading the image and spinning a container, you need to install Docker. Installing Docker is beyond the scope of this document. To learn about Docker Community Edition (CE), click here. To install Docker-for-Mac, click here. 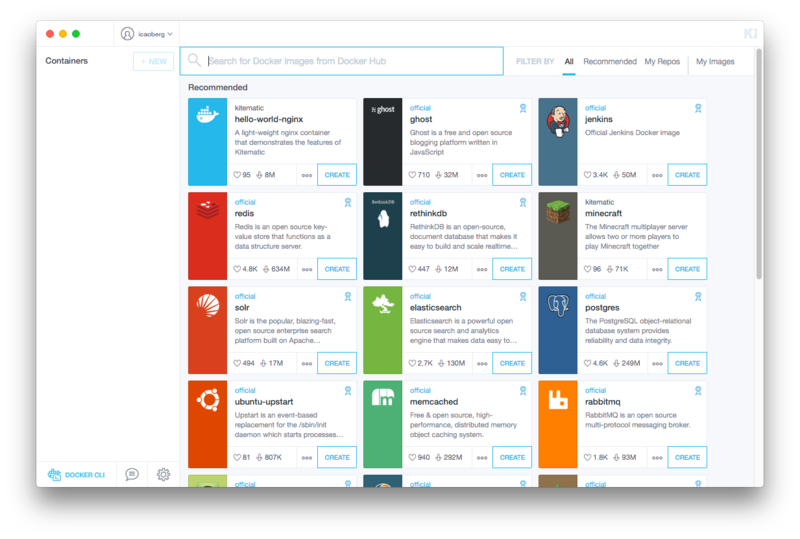 To install Docker-for-Windows, click here. The easiest way to download an image and run a container is to use Kitematic. Kitematic is a tool for downloading images and running containers. To install Kitematic, click here. Kitematic is not necessary, but it is recommended to streamline installation and deployment. For convenience, the Docker image can be found in Docker Hub along with links to the Dockerfile. There are several demos included within the CellOrganizer software bundle. These demos are intended to illustrate CellOrganizer’s functionality, and should be used to familiarize the user with the input/output format of various top-level functions such as img2slml and slml2img. Certains demos have been deprecated and will be removed in future versions of CellOrganizer. After the docker image has been created through Kitematic, click the top right button to open the Jupyter server. This will open a webpage on your browser that is hosted by your local machine. The environment will intially contain Ipython notebooks with preinstalled demos that will run the CellOrganizer binaries. An example of a demo that trains a generative model from a series of .tif image files is demo2D01 . To run a demo, simply click the run button at the top of the notebook. This demo will save a folder param containing .mat files as well as a .mat file lamp2.mat to the same directory ( /home/cellorganizer/demos/2D/demo2D01 ). These .mat files contain information characterizing the trained generative model. An example of a demo that produces simulated images from a trained generative model is demo2D02 . This demo will save a folder img containing these simulated images to the same directory. To export generated data out of the container, click the files in the directory that will be exported and click download.